Item # 307791 Stash Points: 6,495 (?) This is the number of points you get in The Zumiez Stash for purchasing this item. Stash points are redeemable for exclusive rewards only available to Zumiez Stash members. To redeem your points check out the rewards catalog on thestash.zumiez.com. 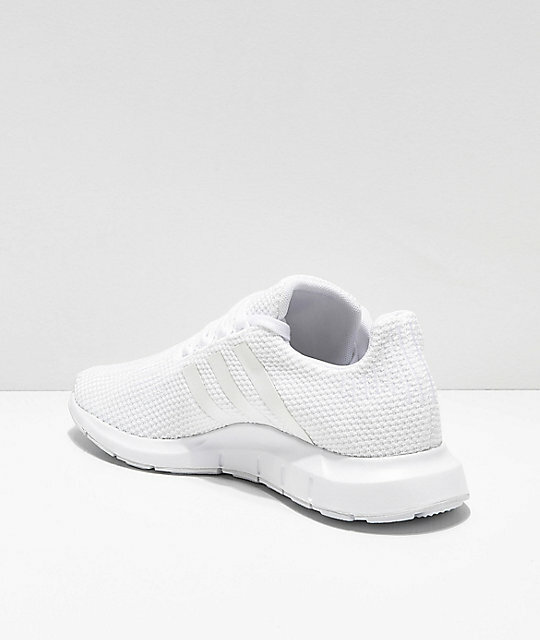 Light and comfortable, the Swift Run All White Shoes from adidas are a must-have for your active lifestyle. 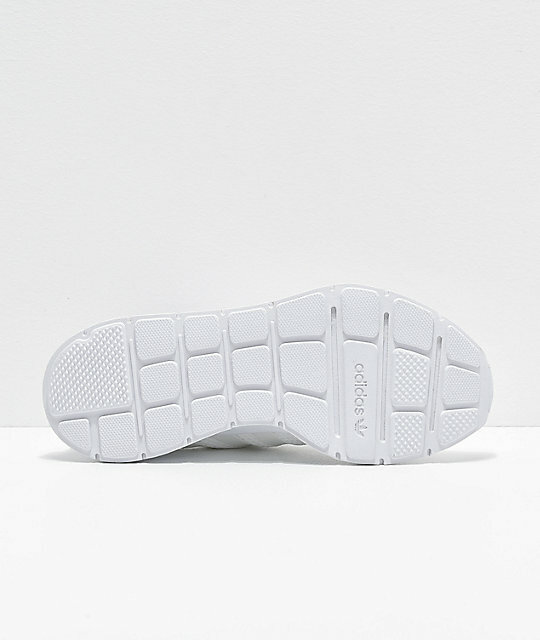 With a socklike construction, this shoe is made from a stretchy white knit upper with a crsip white EVA foam sole. 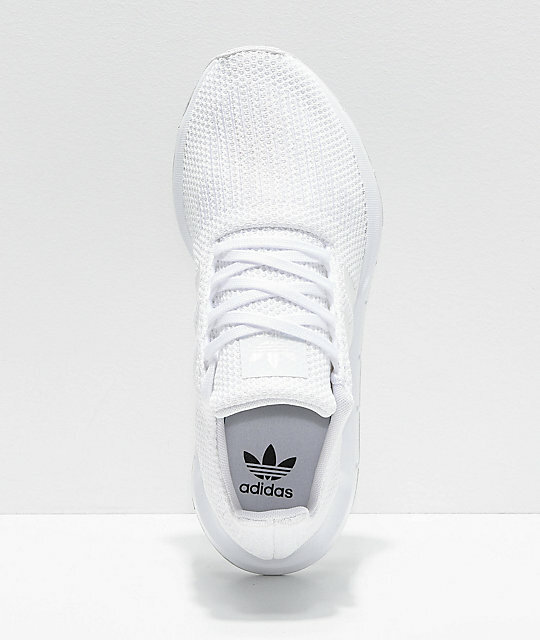 Cushioned footbeds and a sleek recessed lacing system offer comfortable and easy wear, while the monochromatic 3-Stripe overlays at the sides offer a classsic look from adidas. 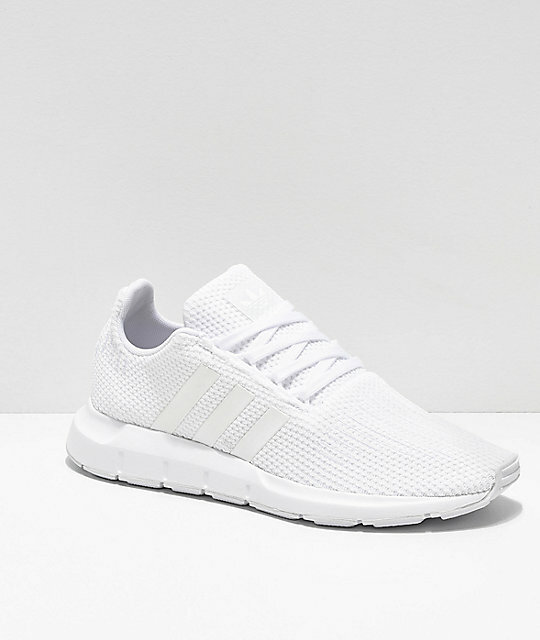 Swift Run All White Shoes from adidas. Stretchy white knit upper with embroidered line details.